According to International Nickel Study Group (INSG), the surplus in global nickel market dropped significantly during the month of March this year. The global nickel market surplus totaled 3,600 tons in March this year. This is 52.6% down when compared with the surplus data during March last year. 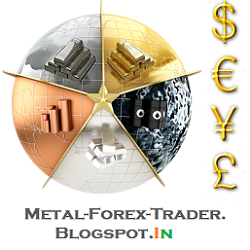 The global nickel market surplus during March 2013 was 7,600 tons. 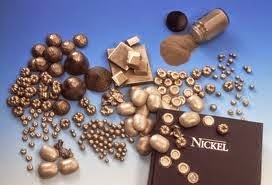 The nickel surplus in March dropped when compared with the previous month. The global nickel surplus fell by 25% month-on-month during March. The production of Nickel during the month of February this year exceeded the monthly demand by 4,800 tons. INSG notes that that the global nickel surplus during the three-month period from January to March this year dropped significantly over the previous year. The surplus narrowed to almost one-third during the initial three-month period of the year. The global surplus of nickel dropped from 38,900 tons during January to March 2013 to 13,400 tons during the corresponding three-month period this year. The International Nickel Study Group (INSG) - an autonomous, intergovernmental organization established in 1990 and located in Lisbon, Portugal, is responsible for collection and publication of improved and latest statistics on world nickel market.